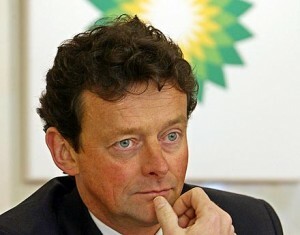 As BP’s Tony Hayward has learned, a crisis is a terrible thing to manage. Even with the containment cap placed over the ruptured oil well a mile deep in the gulf, the live camera feed of the spewing oil creates a disturbing visual representing the ineptitude of BP and Tony Hayward himself. Earnest Hayward, promising to “make it right,” has become fodder for late night comedy. Beyond stopping the leak from the well, what does Tony Hayward need to do to save BP’s reputation and his own? The gruesome images from the Gulf Shores, combined with the nearly incomprehensible size and scale of the disaster, only magnifies the extreme lack of control faced by BP in managing this PR nightmare. Hayward’s biggest fault is not seeing the explosion and gushing well deep below the ocean’s surface as an epic, global crisis. If Hayward had chosen to move beyond the legalese offered by counsel and his network of advisors, was there anything he could have done or said that would improve his standing with the public? Did he have any good choices? BP has been innovative in asking the public to help solve the problem, a laudable effort largely unrecognized. BP has received more than 20,000 ideas on how to stop the flow of oil or contain the oil spill. However, the promise to clean up every drop of oil and “restore the shoreline to its original state” appears as futile as the booms bobbing on the Gulf barely containing the oil. As globs of oil foul the wetlands and the beaches, the company’s commitment to meeting all of its responsibilities seems impossible to achieve. The other media star of this drama, President Barack Obama sought first to maintain distance between BP’s gusher and his presidency. Reading the downward drift of the polls on his own leadership, he paraded his concern on Larry King Live, in a third visit to Louisiana, and in political briefings and radio addresses. Obama also promoted new regulations and ordered an investigation into BP’s behavior. What can each man have done differently—and do differently going forward—to gain credibility and respect? What positive developments can come out of the BP oil spill? Hayward and Obama need to forge a new business/government relationship that stops the name-calling and blame-laying—and instead conveys to a concerned public their shared dedication to solve the problem. On their own, they are each appealing for votes or applause or vindication, which the public finds insulting. They must create a way for the public to participate in the solution. What programs can be put in place to engage the public in volunteerism related to the crisis? This type of work is cathartic for individuals who are grieving the loss of pristine coastlines and shorebirds. What’s more, images of volunteer crews would supply positive, inspirational images to replace the current onslaught of disturbing images. Obama must appoint an unassailable environmental leader—such as Bill Ruckelshaus—to develop energy policy that is green and business neutral. This individual must find innovative ways to invite participation and dialogue. Invite the nations of the world to join together to create an environmental prize, based on solving or making progress in solving the world’s greatest environmental problem—an environmental Nobel. Create a new meaning for the British and U.S. relationship for the Fourth of July. Tony Hayward and BP should develop a unique participatory event for Americans on July 4th. Think big.